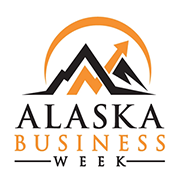 Serve as a business coach alongside experienced Alaska Business Week veterans from industry giants like Andeavor, hometown stalwarts like AlaskaUSA, and cutting edge trendsetters like Gartner. Our company advisors often tell us that they learned more than they think the students did. (907) 278-2744 for more information. 01. Engage and mentor teams and individuals. 02. Focus on task completion, schedule and collaboration. 03. Guide the team's business strategy and product design. We are currently looking for business mentors for Kotzebue in April and in Anchorage and Palmer in July. Housing opportunities are available, so don’t let the location keep you from being the key to a student’s success. Must attend advisor training the day before each camp begins. Complete an informational form and background check. Can't commit to mentor for a full week? No problem! We need 20-30 volunteers to serve as judges at the end of every Business Week camp. Judging only takes a couple hours and allows the students put their new business skills on display. Judging is a great way to encourage Alaska entrepreneurship while learning a little more about the Alaska Business Week program. It only take a couple hours and you get to see the culmination of all the students' hard work. Shareholder: You play the role of company owner while the students present their financial reports, lessons learned, and plans for the future. Investor: Diversification is important in business. Attend the student Trade Show and make simulated investments in the best new product ideas. We are currently looking for judges for Anchorage in July and Wasilla in early August. We created the internship program because so many ABW students wanted to come back to camp again and again. The intern program is competitive, with only a handful of students selected to return to assist each year. It is a rewarding way to enjoy business education and the college experience while giving back to a new group of ABW participants. 01. Be a good, positive, and motivating example for new ABW students. 02. Assist the Business Week staff, Company Advisors and Chair of the Week. Seriously... we need your help! 03. Learn how to run audio and video equipment for guest speakers. 04. You're in charge of the music in the auditorium. Don't make us regret this. Make wise choices! 05. Take fun photos and video of students, speakers, and presentations and learn how to put them together into a sweet presentation for the graduation ceremony. We are currently looking for interns for Anchorage in July and Wasilla in early August.